Hey there Hi there Ho there!! We are a warm bunch of international students who enjoy meeting together weekly for fellowship, worship, bible study and prayer. 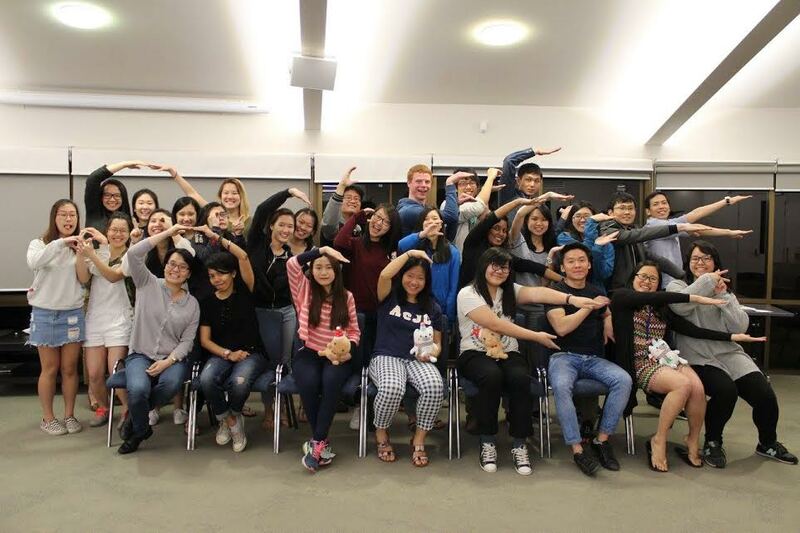 Similar to the other OCF centres across Australia, we are a student-led and an interdenominational Christian society catered for the international students in Flinders University. A little sneak peak for you, this year we are very excited to be exploring the aspect of Intimacy with our Father in Heaven! We have a variety of programs run throughout the year; opportunities to reach out to our campus in partnership with other Christian societies on campus such as Evangelical Students (ES) during Easter and Jesus Week! Not to mention we are always excited for our annual Easter Camp and Convention where we gather with other OCF centres across South Australia (SA) and Australia respectively. Together with our other 2 centres in SA, we aim to equip ourselves as disciple-makers of Jesus through variety of leadership trainings scheduled throughout the year as well as discipleship partners. If you are still in the journey of discovering your faith, don’t fret because we have something for you too! Discovery Group (DG) is an especially exciting bunch as they come to discover more about Christianity, ask and discuss difficult questions to better know who Jesus Christ is!